Here, I am going to give you a quick overview of the notions used in Pinterest. If you log into your Pinterest account, you will be taken to your homepage. On the top of the page you will see the search box to your left and the Pinterest header at the center. Then to the right, you will find three dropdown menus – Add+, About, and your profile menu. If you click “Add+,” a dialog box will pop up. The box will give you options to add a pin, upload a pin or create a board. If you click “About,” you will see on the menu links to Pinterest’s help pages, the Pin It button installer, the Pinterest company pages, and the legal and copyright documentation. You should make it a point to read Pinterest’s legal and copyright pages as soon as you can. If you click “pinners you follow,” you will be taken to the page that shows you the pins and repins of the people you follow. All your followers’ activities are summarized in a box, which you will find on the left side of the page. If you click “everything,” it will show you a dropdown menu listing all the categories currently available on Pinterest. If you click on a specific category, you will be taken to a page that lists all the pins under that category. If you click “videos,” you will be taken to a page that shows only recently pinned videos. 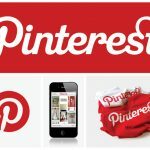 If you click “popular,” you will see a page that lists the most popular pins on Pinterest at the moment, pins that have generated a large number of repins, likes and comments. If you click “gifts,” you will be taken to a page where you can buy products. You can also choose the price range of the products you want to check out. 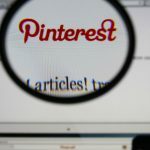 There are three main actions you can do to interact with other members of Pinterest – repinning, liking, and commenting. If you mouse over a pin, the buttons “repin,” “like” and “comment” will appear. Clicking “repin” will bring up a pop-up box where you can choose which board to repin the pin, type in a description for your repin, and select whether you want to share this repin on your Facebook and Twitter accounts. Clicking “like” is similar to bookmarking. Clicking “comment” will show a box beside your picture underneath the image on the pin. In that box you can type your comments. When you click on your name and profile image on the top bar, you will be taken to you profile page. Your profile page will show a display box with the name you have registered with Pinterest, your description, as well as links to your website, Facebook page and Twitter page. Beside the display box is a list of people who have repinned your pins and whose pins you have repinned. Your profile page also shows thumbnails of your boards. You can rearrange these thumbnails by clicking the rearrange button. The rearrange button is found beside the “Edit Profile” button on the bar below the display box. Another thing you will find on the bar below the display box is your profile statistics. These profile stats show the number of boards you have, the number of pins and likes, as well as a link to your recent activity log. Your stats will also show the number of followers you have and the number of people you follow. followers and pins the board has. The search box on the top of any Pinterest page works just like any search engine. You can type in your keywords for whatever you want to find on Pinterest. On the search results page, you can sort your results by pins, by boards, or by people. I LOVE this site! It gives me something constuctive to do! « Is Pinterest Another Social Networking Site?